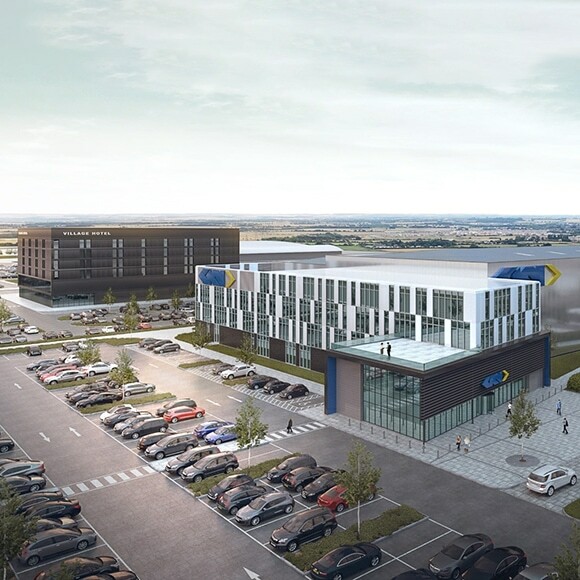 GKN Aerospace, a global engineering company that serves more than 90 percent of aircraft and engine manufacturers around the world with aerostructures, engine systems and technologies announced plans to open world-class Global Technology Centre (GTC) in Bristol, UK. The future GTC will focus on additive manufacturing (AM), advanced composites, assembly and industry 4.0 processes to enable high rate production of aircraft structures. Funded by a £17 million commitment from GKN Aerospace and £15 million commitment from the government of the UK, the new centre is expected to open in the year 2020. Once open, the new centre will span 10,000 square metres, will host 300 highly skilled engineers, and will include collaborative space for research and development (R&D) with universities, GKN Aerospace’s UK supply chain, and the UK’s CATAPULT network – a network of world-leading centres designed to transform country’s capability for innovation in specific areas and help drive future economic growth. The GTC will maintain GKN Aerospace’s position as the forerunner in the development of next generation technologies and will also serve as a base for GKN Aerospace’s technology partnership with Airbus’ “Wing of Tomorrow” Technology programme as well as new AM programmes. Speaking about how the new facility will keep UK at the forefront in adoption of latest technologies and manufacturing processes, Greg Clark, The Secretary of State for Business, Energy and Industrial Strategy said, “GKN Aerospace’s new Global Technology Centre further strengthens our aerospace heritage and engineering expertise, and will keep the UK at the forefront of the latest technologies and manufacturing processes for the next-generation of aircraft”. “As the sector moves towards a cleaner, greener and more efficient future, we are partnering with industry through our modern Industrial Strategy and new Aerospace Sector Deal to ensure we have the skills, innovation and supply-chain to continue our world leadership in aviation,” added Clark. The Bristol centre joins the increasing list of GKN Aerospace Centres of Technical Excellence around the world. Each centre has a unique technology focus – covering AM, thermoplastics and smart aero-engine systems – and is supported and linked by a clear digital strategy.